Simrit Malhi is a very young and progressive farmer from Kodaikanal in Tamil Nadu. 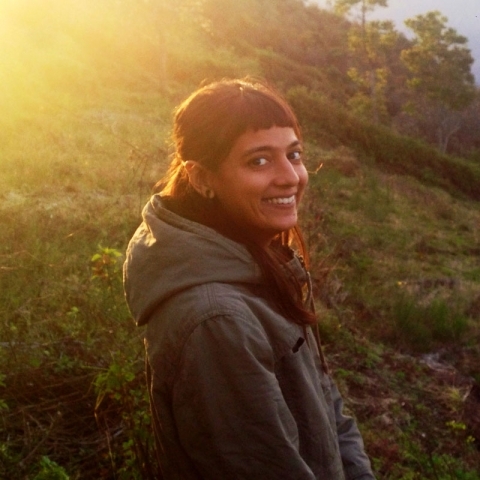 She is the main permaculture designer at her family farm in Kodai called Roundstone Farms. The farm is completely organic, as biodynamic, planned according to permaculture principles with swales, waterways, ponds, grey waste water systems, a bio gas plant and a fully natural home built using ancient Tamil methods with stone and lime mortar. The farm produces many fruits like Avocados, Peaches, Guava, Starfruit, Passionfruit, Oranges, Pepper, Coffee. Simrit has been actively involved in farming from a very early age and her interest in farming and farm produce has only grown over the years.